Chief Kristen Roman joined the UW-Madison Police Department on January 9, 2017. Prior to joining UWPD, Chief Roman spent 26 years with the City of Madison Police Department. While at the City of Madison Police Department, Roman was appointed as the first captain to oversee the Community Outreach Section within the department. 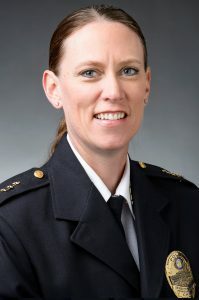 As captain of community outreach, she proposed, developed and implemented a plan to establish a dedicated team of officers to address mental health-related incidents, divert people with mental illness from the criminal justice system and connect them to necessary treatment. 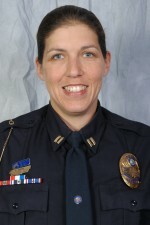 In her previous position as patrol lieutenant, Chief Roman oversaw field operations for the downtown/isthmus district, working closely with UW-Madison students, administrators, and police.